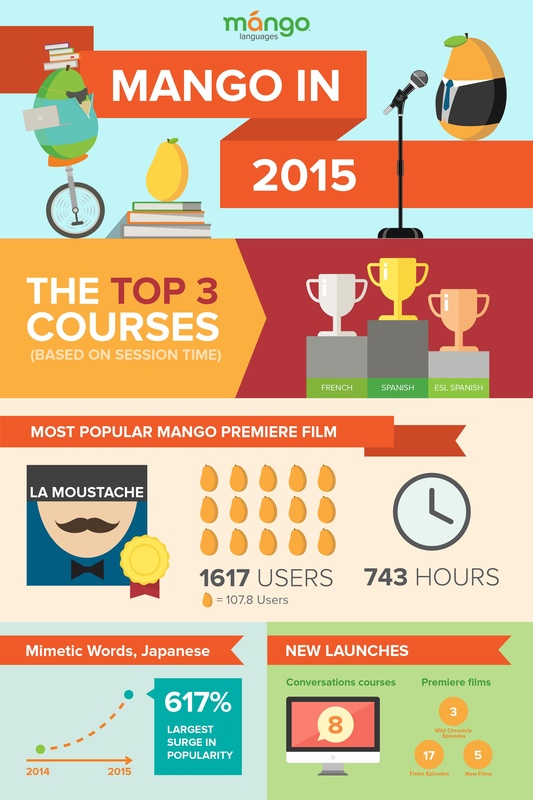 Back in January we reviewed some of the achievements made at Mango Languages in 2015. Since then, we've dug through the data to find out more about how language learners used Mango during the year. To give you an idea of how others are immersing themselves in language and culture, we created the infographic below. We were amazed at the accomplishments of our community who use Mango to reach their language goals. Cheers to more conversations in 2016. You can start your own language-learning journey now by checking if your local library subscribes to Mango Languages.